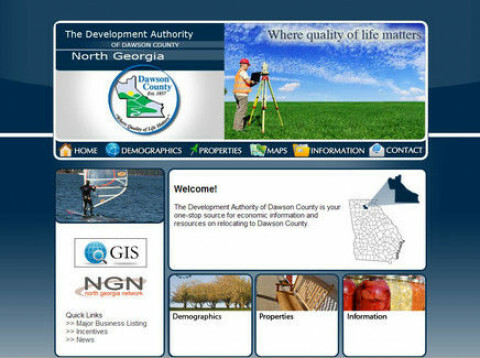 Click/tap here to find the best Georgia professional website designer for your needs! 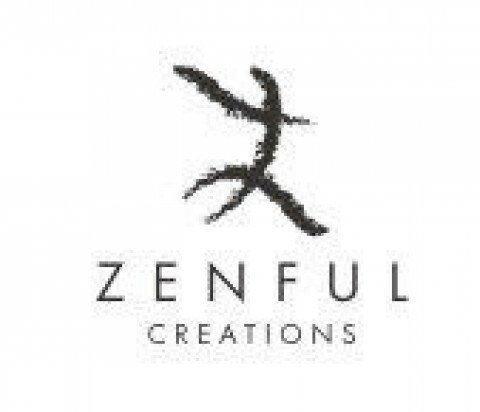 I specialize in designing zenfully unique and eye-catching web sites for clients in almost any industry. I focus on responsive design, accessibility and crisp clear aesthetics. 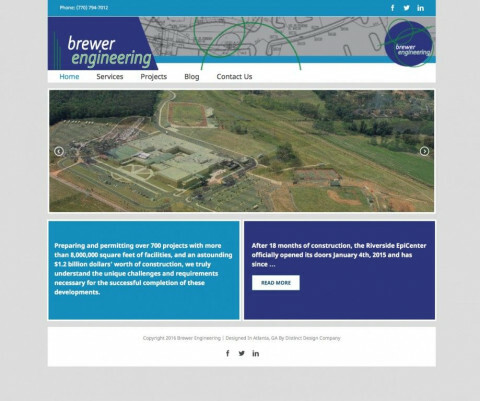 Companies both large and small have realized the importance of having their own website. Back in the day the first purchase of a business was a business card, but today a website is the new business card. 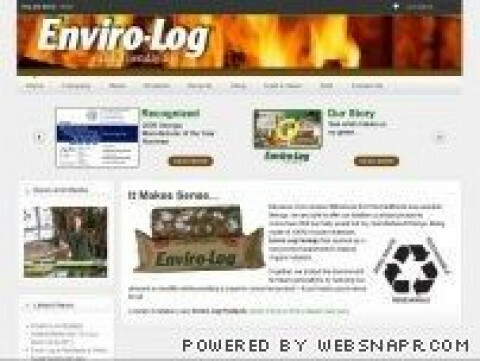 A website shows customers that your business is serious about what you do. Customers are far more confident about hiring you to take care of their needs. 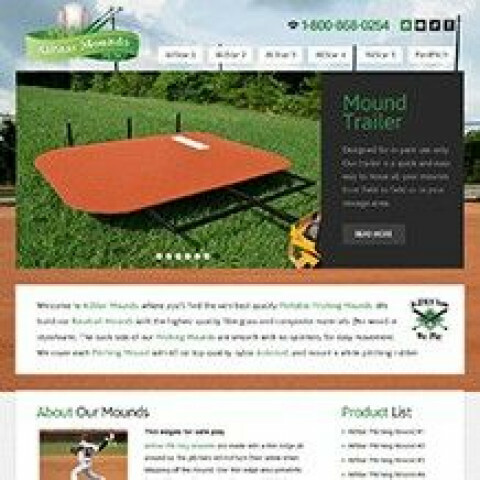 I specialize in website design in the Northern regions of Georgia and Southeastern Tennessee. I also do networking, computer builds, and PC repairs. Contact me for all of your professional computer service needs. 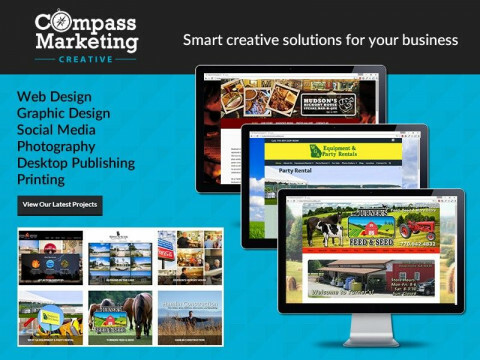 We Help Small Businesses and Organizations Achieve Competitive Advantage With Smart Marketing Included In Every Website We Build. 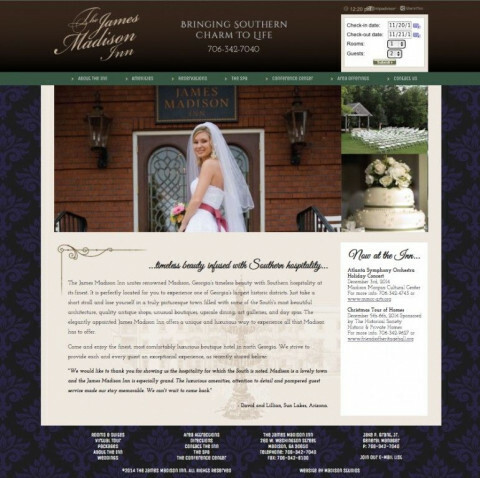 Madison Studios is a custom website design and development company located in historic downtown Madison, Georgia. 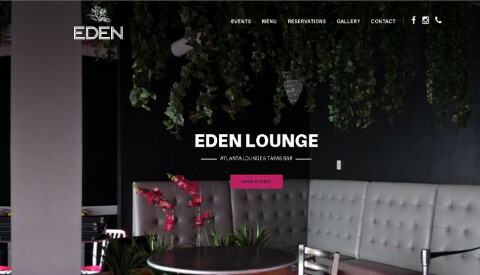 We can create a new or a refreshed web presence that will properly express your message, present the right image, and clearly communicate what you do better than anyone else. Every website we build is hand coded, fast loading, built to the latest standards, and designed to help you succeed at what you do. We can also offer you the right mix of Online Marketing, Social Media and Search Engine Marketing to match your goals and budget. 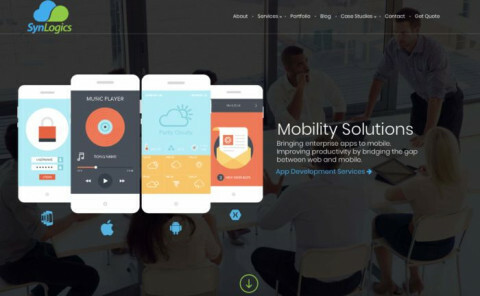 Beautiful, clear websites that are easy to navigate and user-friendly. 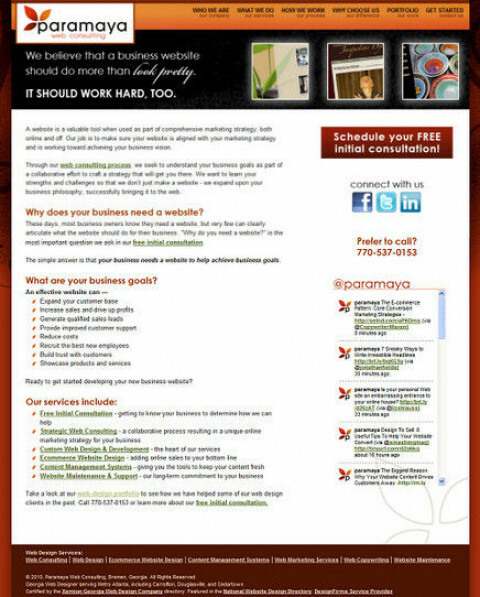 That's what you can expect from Paramaya Web Consulting, a full-service web design and consulting firm which specializes in website design and development for small businesses. We also provide web copywriting services to help make sure your message is on-point and directed to the clients you want to reach. 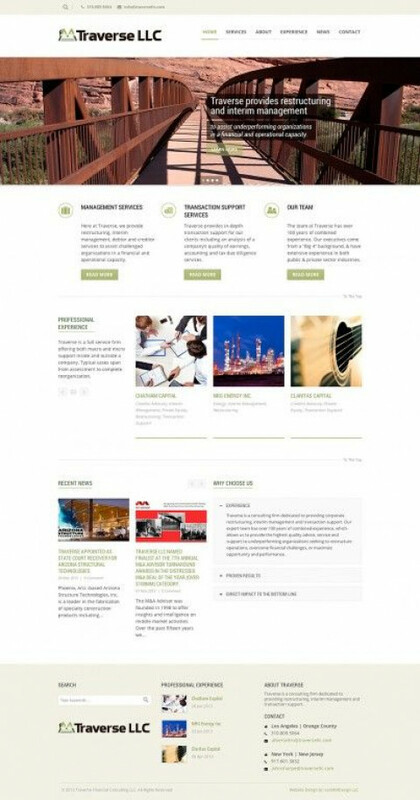 Best of all, our website design solutions are tailored to your strategic business needs and your business budget. TminusZero is a web development studio that serves small- to medium-sized businesses in Georgia and South Carolina. 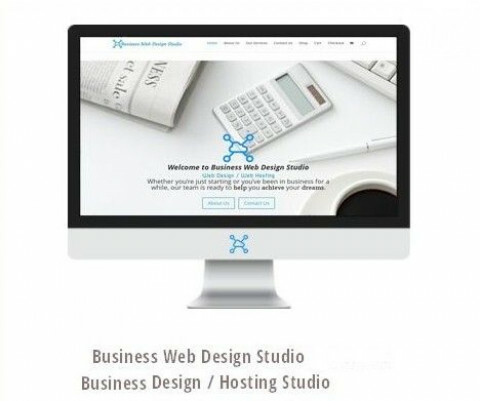 Our services include web design and development, consulting, corporate identity, web interface design, web animation, database development, and custom applications. We build responsive websites with responsible code, and we develop designs from the viewers point of view. Encouraging your viewers to do more with your site, while providing a platform that will last. Our field changes quickly: mobile devices, like phones and tablets, make up an ever increasing percentage of web traffic. If your site was built more than 2 years ago, you can almost guarantee that it is not responsive; meaning it's not displaying, or functioning, correctly on mobile devices. AllCore Marketing provides turnkey marketing and advertising solutions that help you reach your sales goals with the most efficient, budget friendly approach. We are a full service web design and internet marketing company specializing in Joomla CMS Site development and online marketing strategies. Since we opened our office in 2006, we have helped thousands of businesses reach their marketing goals. We can do the same for you. We have worked extensively with government agencies, private industries, start up businesses and entrepreneurs and pride ourselves in providing a simplified approach to developing a successful business system for every project. We keep a finger on the pulse of the latest web trends and have a team that is well versed in using the tools that make your marketing plans work. Our internet marketing consultation services help you build a solid strategy to grow your business using the internet to your benefit. Our team has developed social media strategies for a variety of businesses and we manage the ongoing maintenance of the social media network for many of them. We are committed to providing solutions that allow you the choice to manage inhouse or subscribe to management options when you prefer to contract services out.